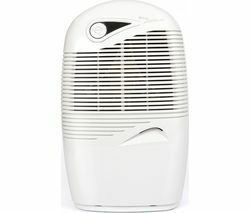 Perfect for keeping the spaces that you spend the most time in comfortable and inviting, our EBAC dehumidifiers are perfectly equipped to eliminate mould, damp, and odours throughout the home. Embracing energy saving smart technology, our high performance range of dehumidifiers features a range of products that are powerful, efficient, and ideal for creating a damp free, warmer, and healthier home. After all, it's vital that your home is free from damp and mould, especially if you suffer from allergies. Purifying the air will not only improve air quality, but it will also help to minimise the effects of harmful allergens in the atmosphere, alleviating the symptoms of many well-known allergies. 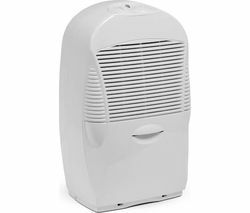 An EBAC dehumidifier is also a great solution for drying your laundry quicker as it eliminates both damp and condensation. Utilising Exclusive Ebac Smart Technology, which automatically controls the dehumidifier to monitor the temperature and humidity within your home, all EBAC dehumidifiers will help to save you money on your energy bills. Within our collection of EBAC dehumidifiers, you will find a wide choice of models that boast a number of high performance features including different speed settings, airflow rates, and timers. 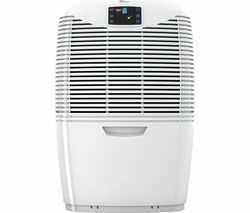 Ideal for use in a wide range of living spaces such as bathrooms, kitchens, conservatories and bedrooms, all of our air purifiers are also perfectly equipped to prevent costly repair bills caused by damp and mould formation. A cost effective, preventative measure, they can be used to nip issues in the bud early on. And, when it comes to keeping your home cool, comfortable, and inviting during the summer months, we also offer a fantastic selection of fans from leading industry names. Our Dyson fans in particular are a great option for controlling the temperature of your home or office space when the temperatures soar outside.